Let's have a donut! And not just any donut. Let's have a Randy's donut. They've recently opened a new location a little closer to where we live. 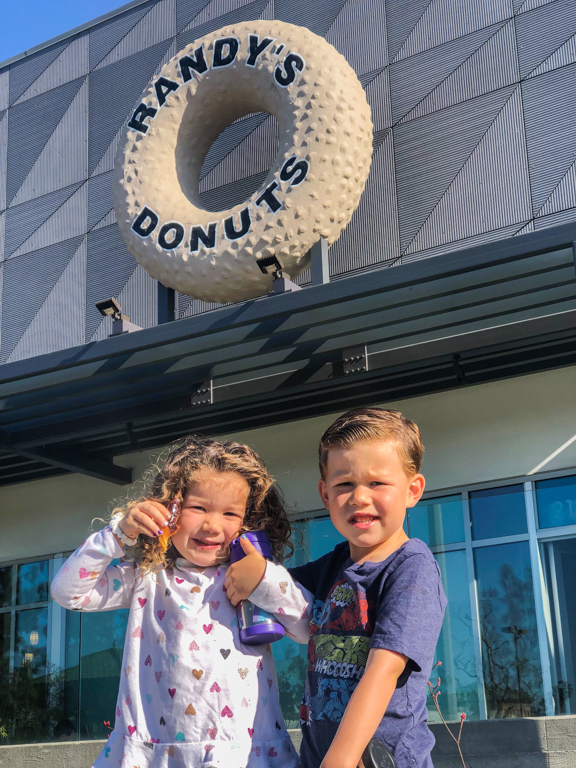 It's not the giant donut like the one on top of the Inglewood store, but it'll do. 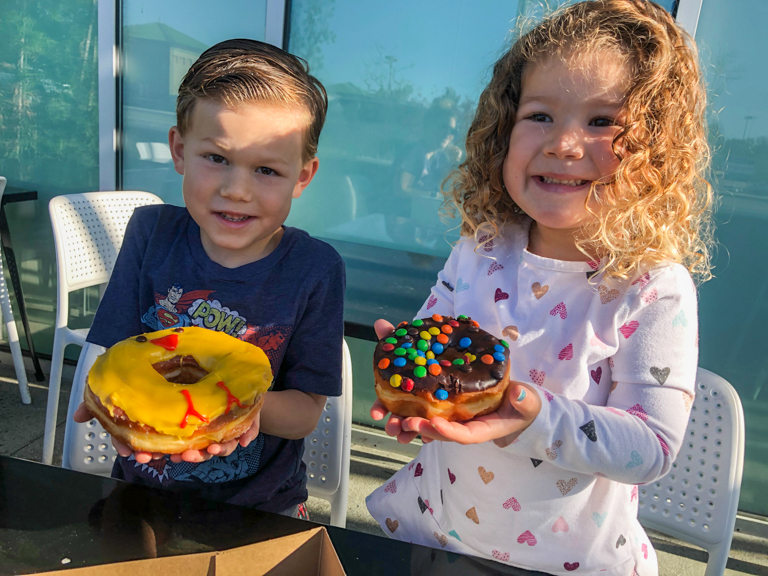 On the drive up, we talked about all the different flavors and let the kids know that they could pick whichever donut they wanted. 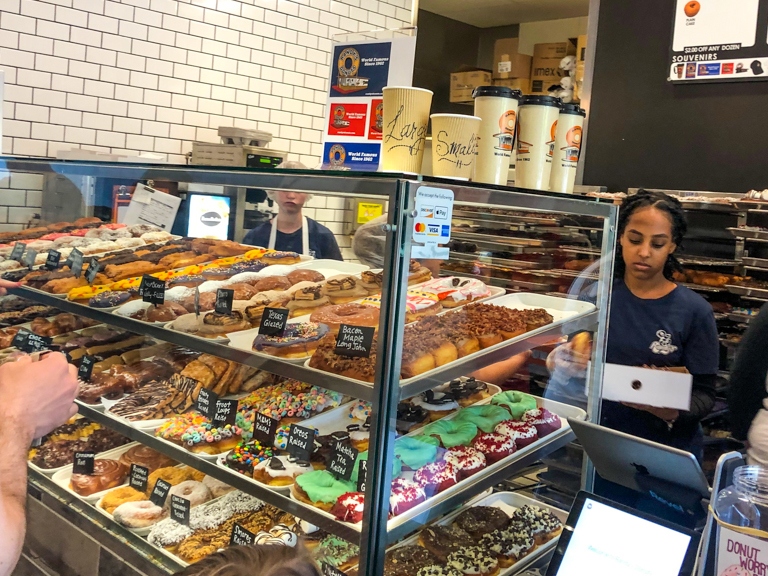 Ian - Any donut? Yep, pick whatever you like buddy. So many tasty options. Churro, Maple Bacon, Froot Loops, Fruity Pebbles, S'mores, Oreos, and even some decorated for Easter. Someone decided that he wanted the giant "Texas" sized donut shaped like an Easter chick. 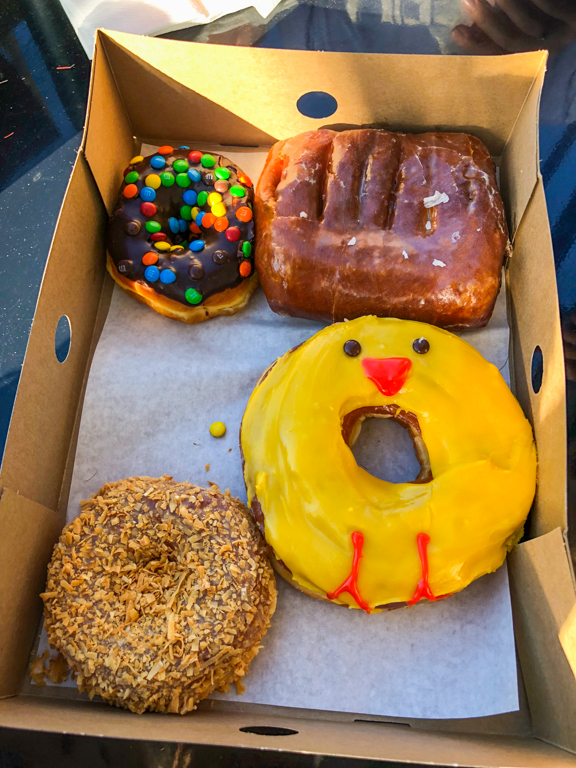 Yes they had regular sized donuts with Easter chicks on them too, but we did say "any donut" and he insisted. Gives you an idea of what everyone's favorites are. 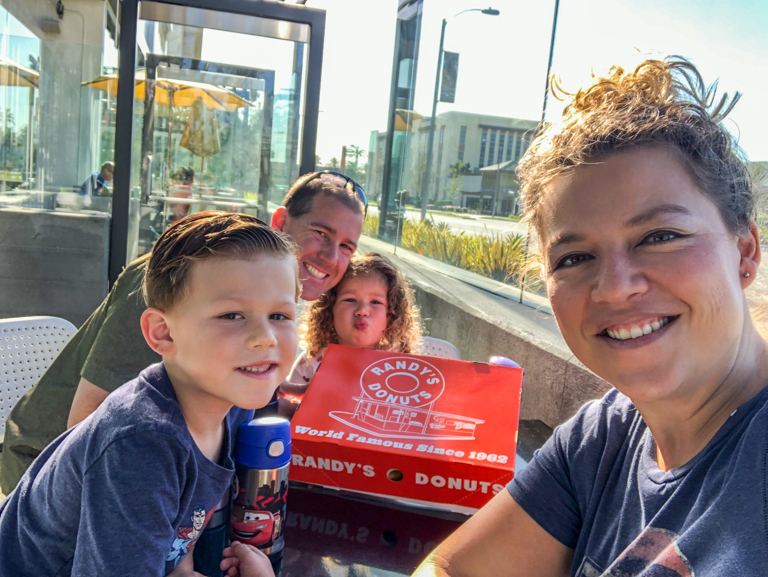 Randy's Donuts is as delicious as ever. Unfortunately Theresa had to work today, but that means I can go do fun things with the kids. 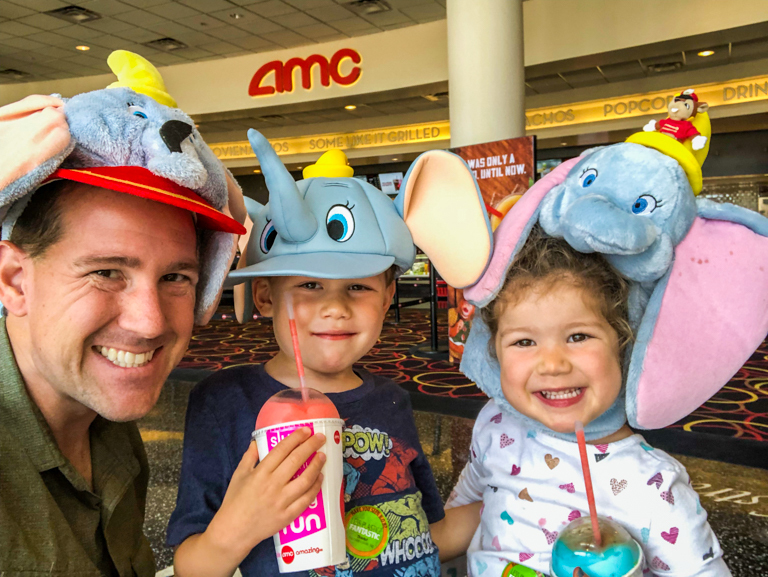 We watched the classic animated Disney movie Dumbo in parts over the past week. Now let's go see the new live action movie! And I've got the perfect hats for the occasion! The kids were getting lots of attention from the walk through the car to the theater. Strangers asking if they're going to see Dumbo and complimenting their hats. They got lots of smiles. Once inside the theater a few people were asking if they sold these hats here. Nope, we just came prepared. Each of our hats has a little something special about it. Here's the run-down. The kids got their first choice with the hats. 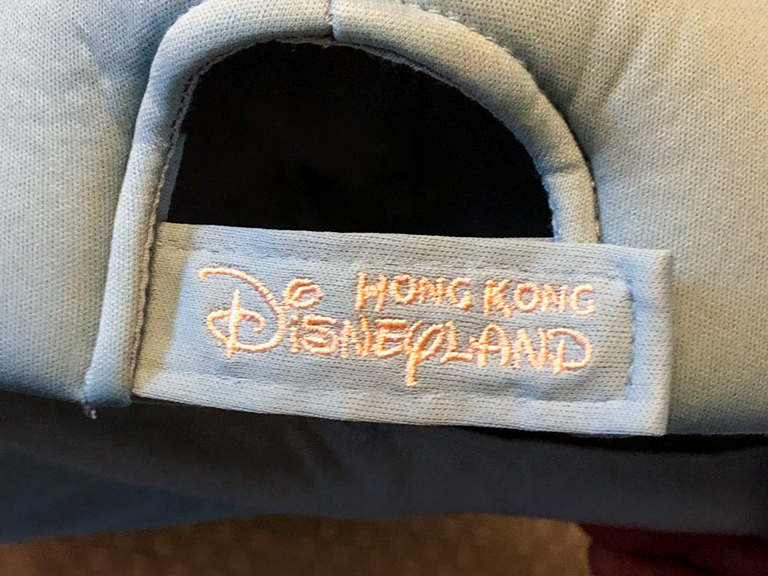 That's why my hat is a toddler-sized hat from Walt Disney World. 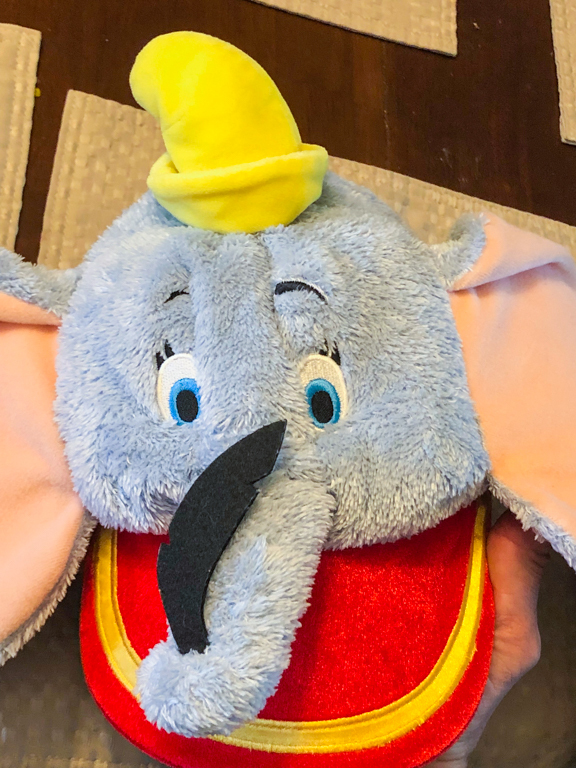 The brim has the colors of Dumbo's ruffled collar from the movie and Dumbo is holding his magic feather. 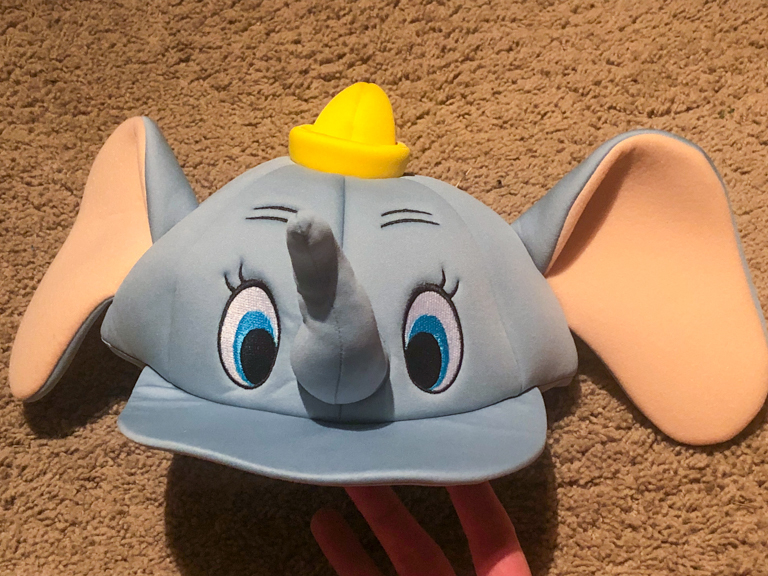 Ian chose the Dumbo hat we picked up on our visit to Hong Kong Disneyland. It says so right on the back. 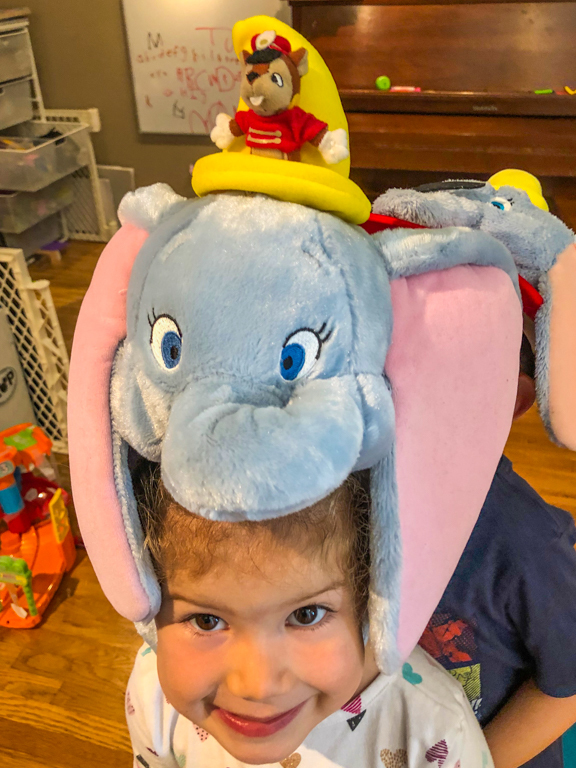 Alli chose first and went straight for the cutest Dumbo hat. 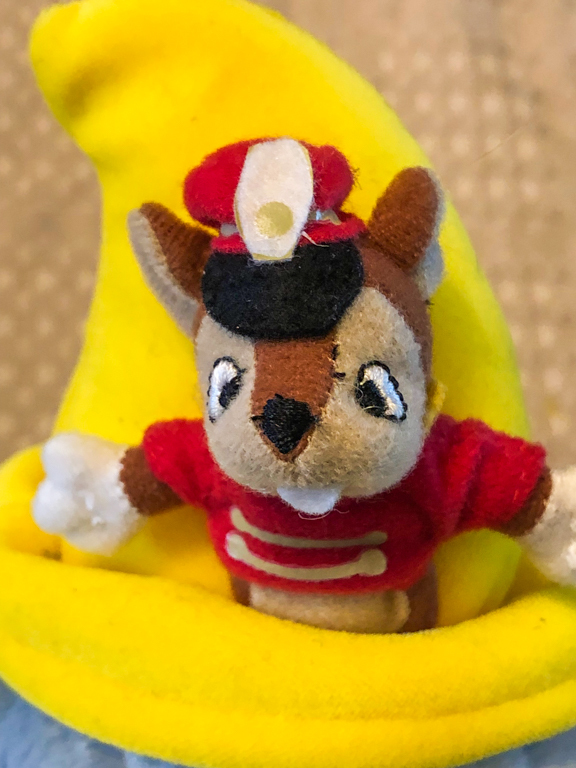 Timothy Mouse is perched on top. Adorable. I was a little concerned with the movie length. So far we've sat through ~90 minute movies without issue. But this one is close to 2 hours long plus there's 20 minutes of previews. Despite all that, and each having their own Icee, we made it the whole way through without any interruptions. Dumbo is as cute as ever. 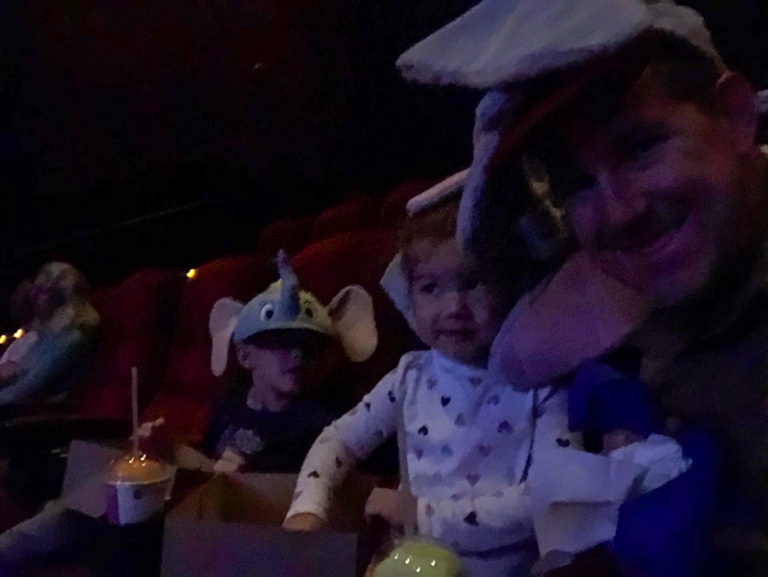 The kids' favorite part was (spoiler alert) "when Dumbo flew". The ending of this one was interesting. And even though I know it was a Tim Burton film, it didn't have anything weird about it like Alice in Wonderland or Nightmare Before Christmas. Even the Pink Elephant section was more tame than the original cartoon.